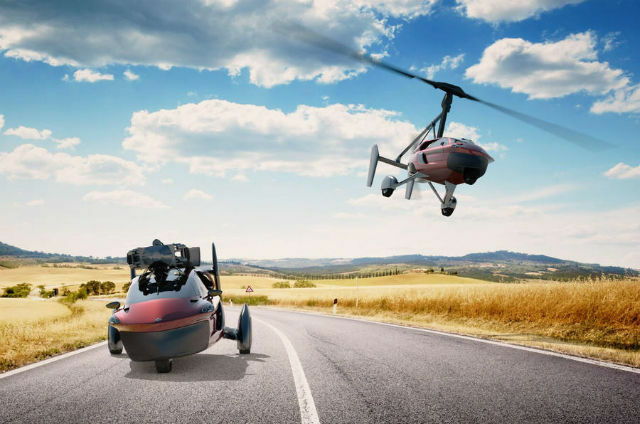 Drones that can fly and run on wheels can lay precedent for flying cars that might just be required to multifunction. Drones are not novelty any more. A lot of us have at least read about, heard, seen or maybe even flown one. Companies like Amazon and Facebook (and others) have been looking at drones to one day power crucial systems like automated product deliveries and global Internet services. However, until now, we have not really explored the possibility of drones that can not only fly, but also run on the ground when required. It is exactly this that a group of researchers at the Massachusetts Institute of Technology (MIT) have been working on. Titled 'Multi-robot Path Planning for a Swarm of Robots that Can Both Fly and Drive', the research is being done at MIT's Computer Science and Artificial Intelligence Laboratory (CSAIL). As the name suggests, the network of robots in question are quadcopters that will be capable of vertical landing/liftoff and flight, as well as running on the ground as regular vehicles. The combination of the two brings the best of mobility and energy efficiency to the forefront. Alongside a plot for such vehicles, or flying cars as we've colloquially addressed them, what the research primarily focuses on is a path-planning mechanism, that will use always-connected framework to keep a track of the flying cars and gauge which routes will be the most viable. As the research paper states, "Driving robots, while stable and energy efficient, are limited to mostly flat terrain. Quadcopters, on the other hand, are agile and highly mobile but have low energy efficiency and limited battery life. Combining a quadcopter with a driving mechanism presents a path planning challenge by enabling the selection of paths based off of both time and energy consumption." The research work presently concentrates on drones and how these unmanned aerial vehicles (UAVs) can ply on both air and ground as required, to execute humanless tasks. The navigation guidance system will take into account time and duration of flights, places, trajectories and the number of UAVs airborne at a particular time, to gauge a network of courses for each drone to follow. These routes will also take into account skyscraper heights, no-fly zones and on-road traffic to decide which sections will need drones to ply on the ground, and the aerial course will also take safety into account and avoid potential airborne crashes. 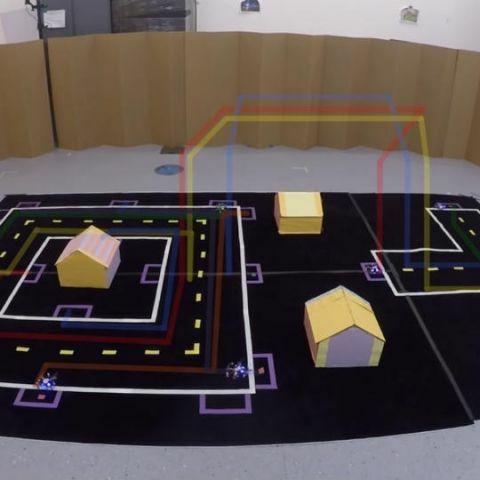 Describing the system, the researchers state, "This paper presents a working system for the coordination and control of flying-and-driving robots in a city-like setting. Two multi-robot path-planning algorithms, priority planning with Safe Interval Path Planning (SIPP) and an optimal integer linear program-based algorithm, have been implemented with multimodal locomotion in mind. A small fleet of wheeled quadcopters with a novel design has been constructed. And lastly, a system for controlling these wheeled quadcopters along their desired trajectories has been implemented. The final demonstration, showing these wheeled quadcopters traveling by air and ground through a miniature town, anticipates the useful applications that flying-and-driving vehicles will hopefully one day have." It is this very point that makes this research one of the most crucial for the future of flying vehicles. Taking to unused airspace will certainly enable metropolitan cities cope better with traffic intensity that is bound to increase in future. However, such usage will need stricter regulations taking safety into consideration, better V2V coordination and the ability for airborne, self-operating vehicles to traverse on road according to traffic and route conditions. While it is still in nascent stages, this could very well form the basis of an intelligent connected hub that forms a mass transit control center for flying cars to coordinate with.